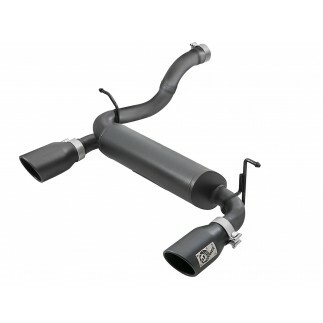 This Twisted Steel Down-Pipe with loop relocation pipe replaces the JL's restrictive factory down-pipe for improved flow, performance and an aggressive tone. It accommodates most long-arm lift kits without interference, solving common clearance issues. This Twisted Steel down-pipe with loop relocation pipe replaces the restrictive factory down-pipe for improved flow, performance and an aggressive tone. In-house dyno testing produced gains of up to +14 horsepower and +24 lb.-ft. of torque. 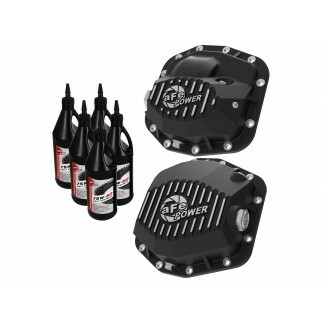 This system also accommodates most long-arm lift kits without interference. 3" into 2" mandrel-bent, 409 stainless steel tubing provides optimum flow while maintaining equal length between the exhaust banks and exhaust system without compromise. 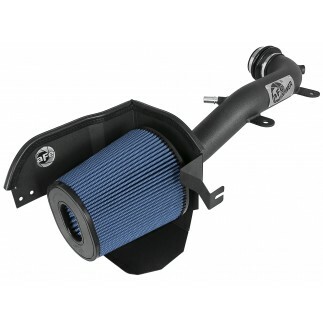 This is a direct fit system with no modifications required for a hassle-free install. 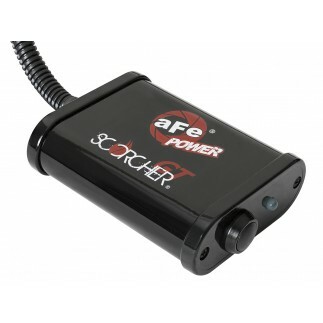 When paired with aFe's Y-Pipe (P/N: 48-48026), it produced up to +20 horsepower and +24 lb.-ft. 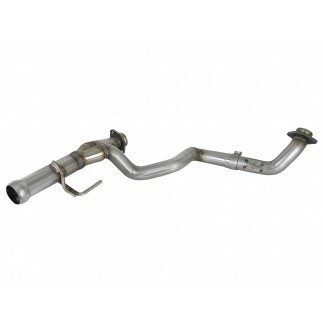 This down pipe is constructed of 3" into 2" mandrel-bent, 409 stainless steel tubing providing smooth transitions for improved exhaust flow and long- lasting durability. 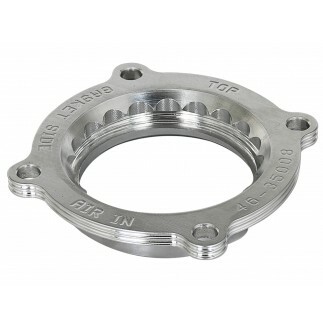 3/8" thick, heavy duty laser cut flanges are designed to match the factory manifold for a secure surface seal. The Twisted Steel system provides proper clearance on Jeeps with a long-arm lift kit without compromising sound or performance. This system mounts directly to factory mounting locations and includes quality hardware for a hassle-free installation.